Happy Tuesday everyone! I am currently on a week-long cruise trip with my parents to Alaska! Yay! I thought there was going to be free Wi-Fi onboard but nope..... I will try to post as often as possible but I probably won't be able to post any more until next week. 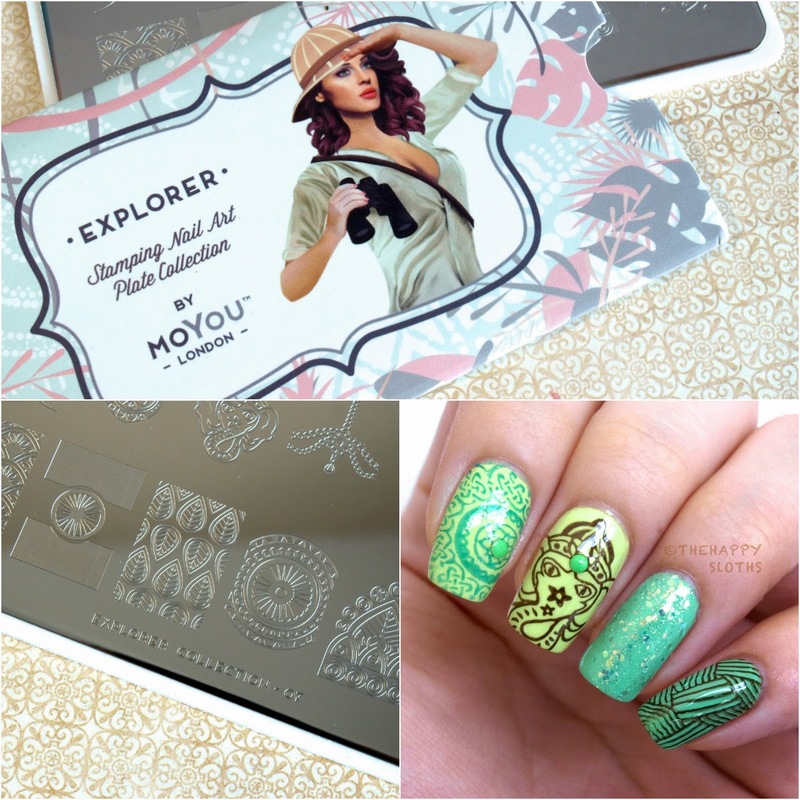 But anyhow, today I have a manicure done with the MoYou London Explorer Stamping Plate #07 (£4.99 or $9.05 CAD). 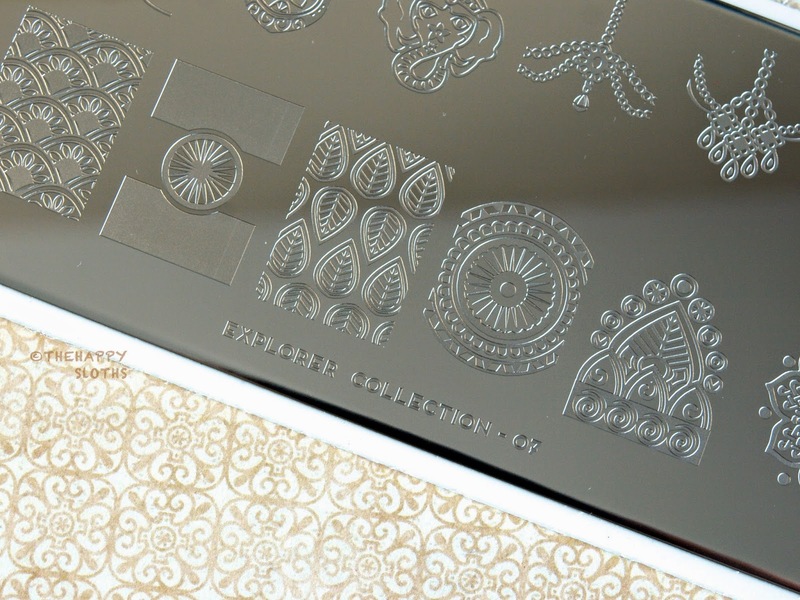 The Explorer Collection features a series of plates with designs mimicking the artwork styles around the world. Plate #07 features some Indian/Southeast Asian (I think anyways) designs including mostly Hindu symbols. This designs are "XL Designs" so each is large enough to cover the entire nail. 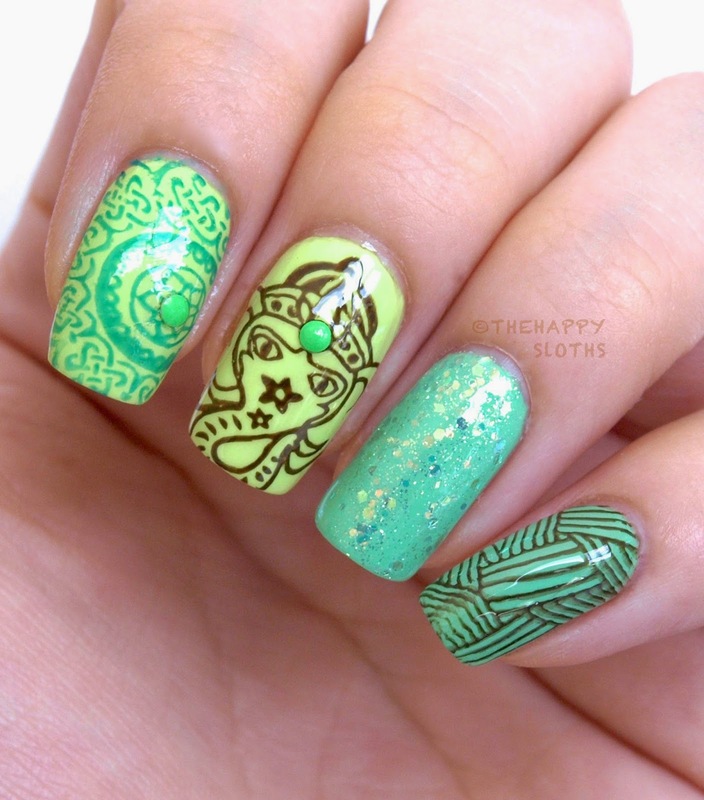 All the patterns work super well when used with good stamping polishes. For my look, I used some new Summer 2014 neons from OPI and "Make a Spectacle" glitter from China Glaze. The brown is "Olivia" from Julep. The nail stud is from Born Pretty Store. The pinky design is from the Fairy Tale plate. Overall, I really love this plate. The designs are right up my alley and I think they are really perfect for summer themed manis. So how do you like my neon elephant design? Let me know in the comments below! Thanks for dropping by!